How tall is Kevin Costner? 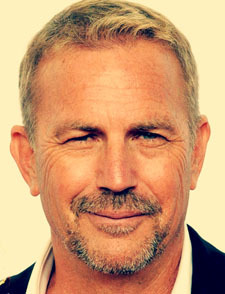 Kevin Costner was born in Lynwood, California, USA (January 18, 1955). Costner’s mother is a welfare worker, Sharon Rae and an electrician, William. His acting career began with ‘Malibu Hot Summer’ as John Logan in 1981. In 1987, he became a rising star with two films, ‘No Way Out’ with Gene Hackman and ‘The Untouchables’. In 1990, he played and directed the film ‘Dances with Wolves’ and won Academy Award (Best Director and Best Picture). In 2005, he began working for the band ‘Modern West’, they released first album named ‘Untold Truths’ in 2008. In 2012, he landed in TV mini-series ‘Hatfields & McCoys’ as leading role ‘Devil’ Anse Hatfield. Cindy Silva was his first marriage between years 1978-94. Model Christine Baumgartner and Costner married in 2004.